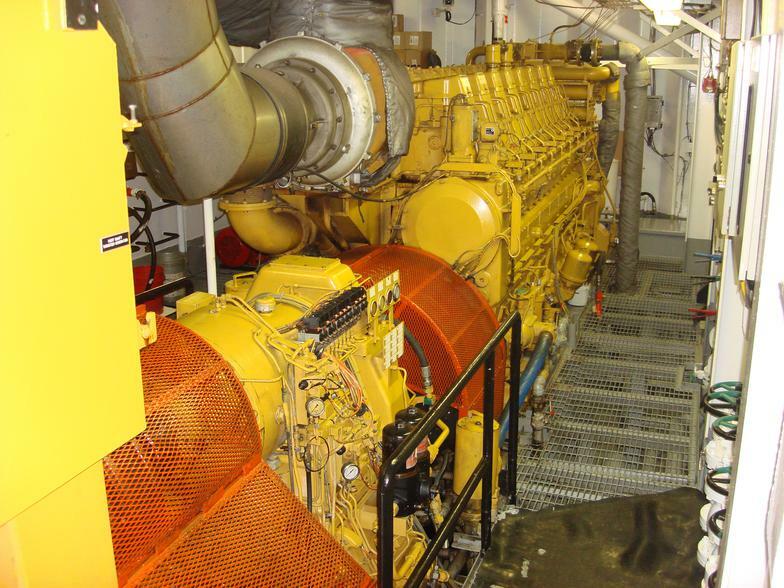 One of 2 Caterpillar propulsion engines with a PTO 900 kilowatt generator attached. The Scana Volda reduction gears have two outputs. The vessel’s variable pitch propeller’s are driven from the bottom output.